2017 Meeting Photos — . The Men in Black with a real Outer Space traveler. She told us she never saw any aliens....obviously she is part of the government cover-up. 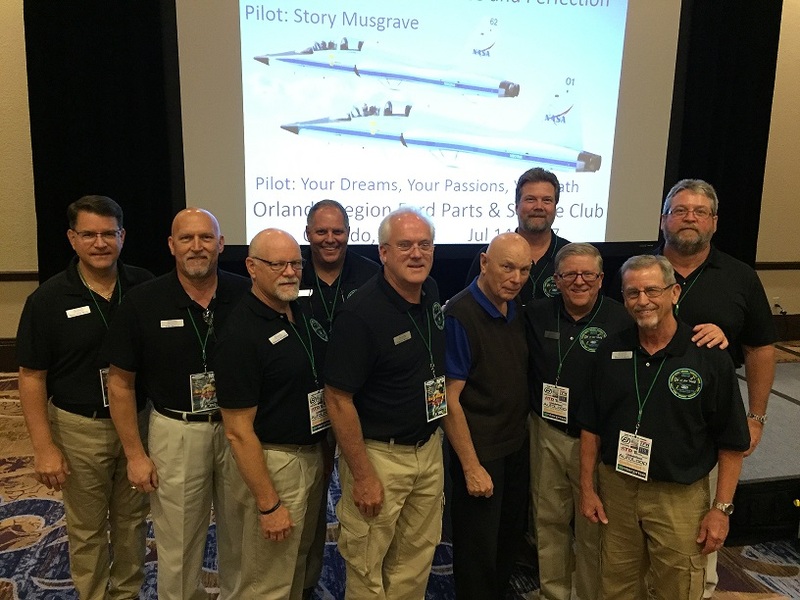 Dr. Story Musgrave wowing the Club with his inspiring life story. Nicole Stott's "crew" after her exciting talk to the children and spouses of our meeting attendees. Big smiles from the BG boys when an astronaut drops by their vendor booth! Thanks to BG for thier generous spomsorship of our banquet entertainment!! Senior Board Member Russ Caron & @Astro_Nicole just a few hours before Russ received the 2017 Fred Jones Award for his decades of dedicated service to the "Best Parts & Service Club in the Universe"